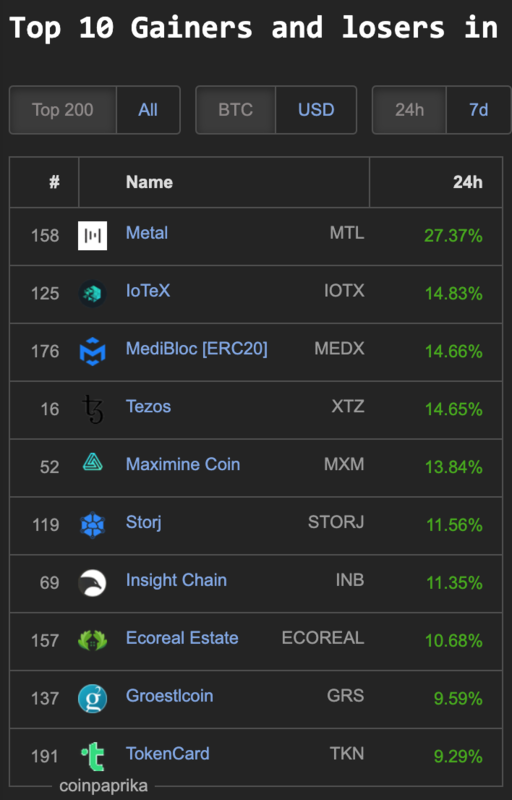 Bitcoin (BTC) @5195 USD is up 100 USD in the last 24 hours and is holding support on the (9) EMAs on the daily chart remaining bullishly above the 200 day moving average. 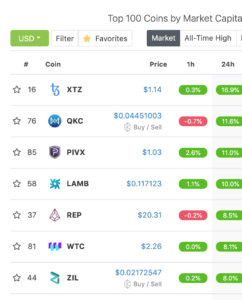 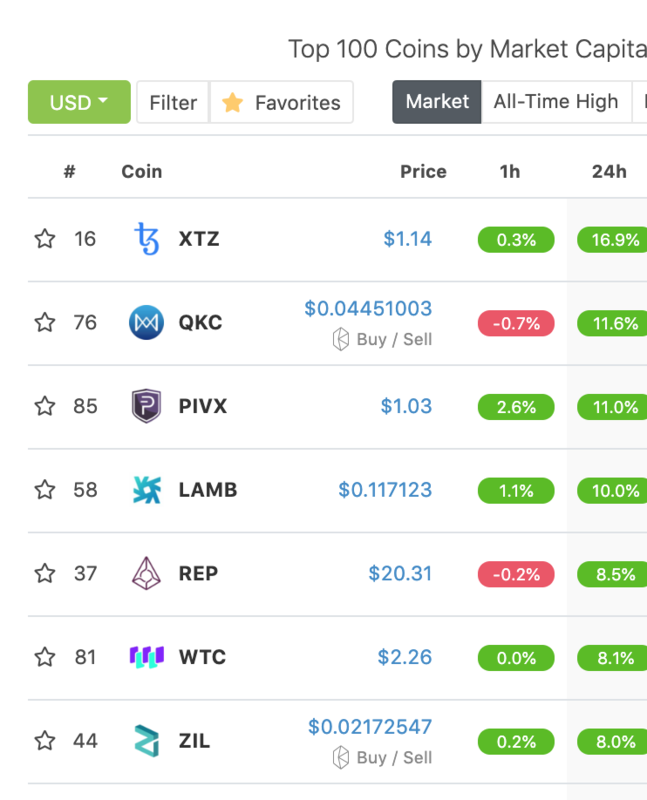 In the top 100 market cap on coingecko.com gaining double digit percentages we have XTZ (16%), QKC (11%), PIVX (11%) and LAMB (10%). 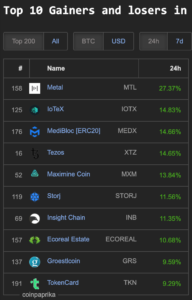 Coins leading in the top 200 market cap on Coinpaprika.com: Metal (MTL) 27%, IoTeX (IOTX) 14%, MediBloc (MEDX) 14%, Tezos (XTZ) 14%, Maximine Coin (MXM) 13%, STORJ (11%), Insight Chain (INB) 11% and Ecoreal Estate (ECOREAL) 10%. 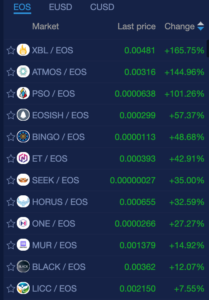 Three EOS coins on NewDex.io gain over 100%: XBL (165%), ATMOS (144%) AND PSO (101%). 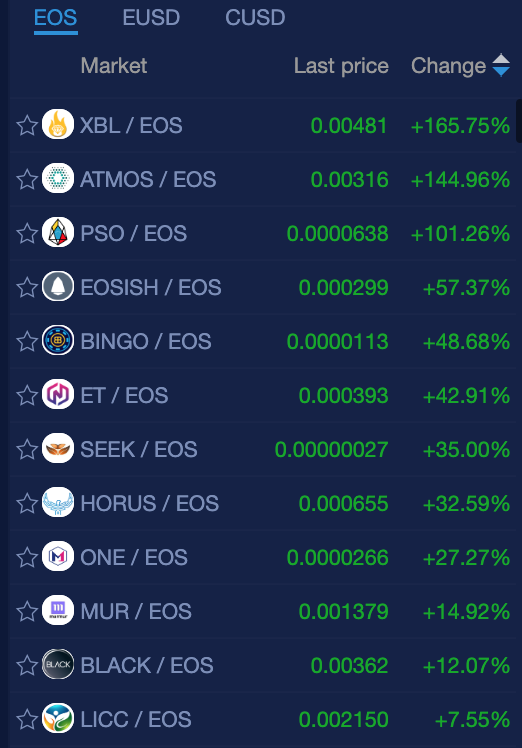 There are also 9 other coins with double digit gains, some of the non-gambling coins were: EOSISH (57%), SEEK (35%) HORUS (32%), MUR (14%) and BLACK (12%).